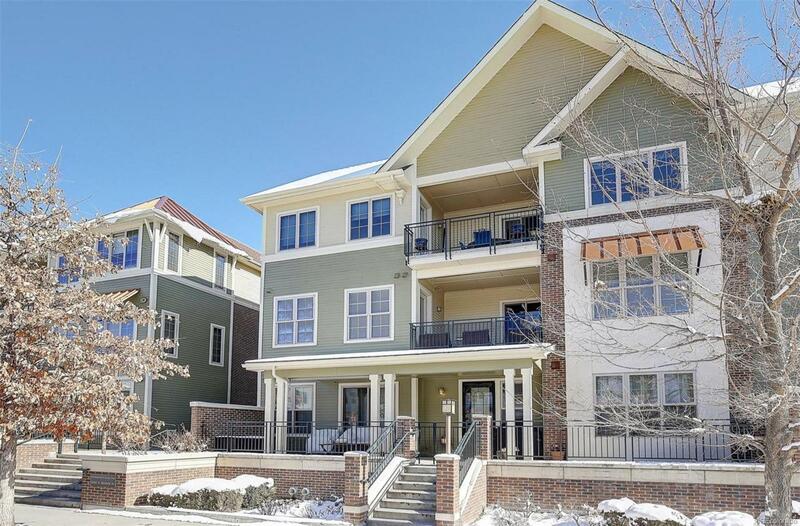 Luxury Condo in the heart of downtown Littleton just a few minutes walk to shopping and dining. This home is meticulously maintained & offers lots of natural lighting from facing West. Very open & spacious feeling. Designer touches throughout including coffered ceilings, crown molding, 8 ft doors and newer ceiling fans. The gourmet kitchen boasts granite counters, tile backsplash, built in butcher block, upgraded stainless steel appliances and a gas stove, which are all included. The living space has beautiful well maintained plank wood flooring. You will find tasteful tile and granite in the two full baths as well as double sinks and a generous size walk in closet in the master. 3rd bath for guests. Both the master and secondary bedroom are spacious in size. There is a trash shoot at the end of the hall for convenience. Enjoy the Colorado weather from your covered patio with its privacy shade. Security entrance. Also close by are lots of trails. Your clients will love living here!